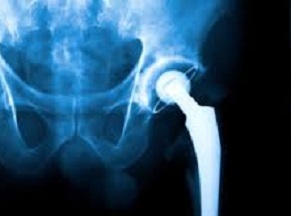 A recent story from wfmynews2.com takes a closer at the problems many total hip replacement patients are facing do to dangerous and defective artificial hips. As millions of Americans are undergoing total hip replacements members of the “hip generation” are having more problems than they did before surgery. DePuy manufactures one hip at issue. The DePuy artificial hip was made with a metal on metal joint. When the DePuy hip fails, several dangerous things can happen. As your Boston DePuy hip lawyer know, the metal-on-metal joint was marketed to lead people to believe that the smooth surface would better emulate a natural hip and allow people to live more active lives. In reality, the metal on metal joint can break down and cause metal shards to build up in the tissue surrounding the artificial hip. This condition is known as metallosis and can cause pain, suffering, and the development of tumors. As a result of this and other issues, some models of the hip have been recalled. The obvious problem is that, unlike an automotive recall, where you just drop the car off at the dealership for a couple of hours, the patient must face another painful and risky surgery to have a new hip implanted. This means more time away from work and family, and more painful recovery and rehabilitation. The three hip replacement patients interviewed for the article had eight hip replacements between them. As the article points out, another problem with hip recalls is that most patients have no idea of the make or model of their artificial hip. There appears to be no effective means in place to notify patients that they have a potentially dangerous hip, so the danger continues until the hip fails. One of the reasons for the problems with notifications is that the device manufacturers may not want to face the costs of replacing all of the defective hips. Each replacement is estimated to cost $60,000. If the patient is unaware and takes no action, the company can hope that the hip doesn’t fail. If it does, many patients will simply chose to live with the pain, not knowing that there is anything they can do. As a patient, if you have had a hip replacement surgery and are now having trouble with the replacement hip, you should see your surgeon and find out what has gone wrong. You should also find out the make and model of the artificial hip used by your surgeon. When you speak with a hip replacement lawyer, he or she will be able to look at your records and let you know whether you have case. Much of the pain, suffering, and inconvenience you are dealing with is the result of drug and device companies not giving you enough information to make an informed decision. This highlights the importance of having someone on your side who is willing to fight for your right to a fair and appropriate financial compensation.